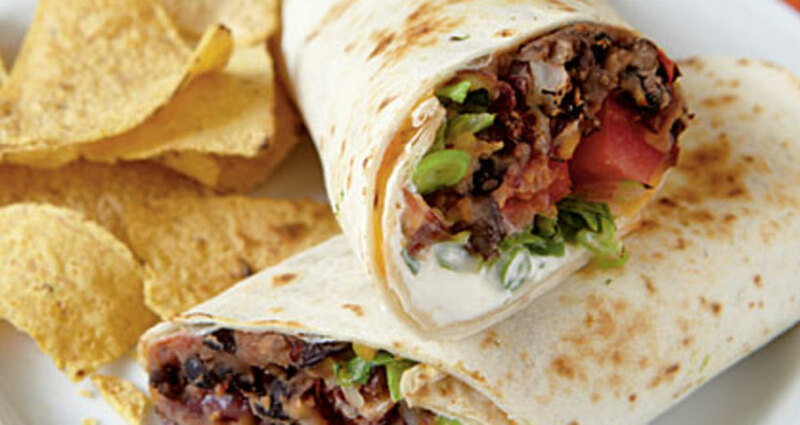 Heat the “El Sabor wraps” for a while in a frying pan without oil, so that they soften. Put in the centre of each tortilla minced meat or chicken, or meat, cheese, lettuce, tomato, pepper and “El Sabor wrap and taco sauce”. For an even spicier taste, add also ”El Sabor nacho sliced jalapenos”. Fold in an envelope as follows: First fold from the bottom to the top and then from right to left. 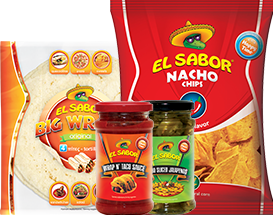 Serve with one of the four delicious flavors of “El Sabor nacho chips”.